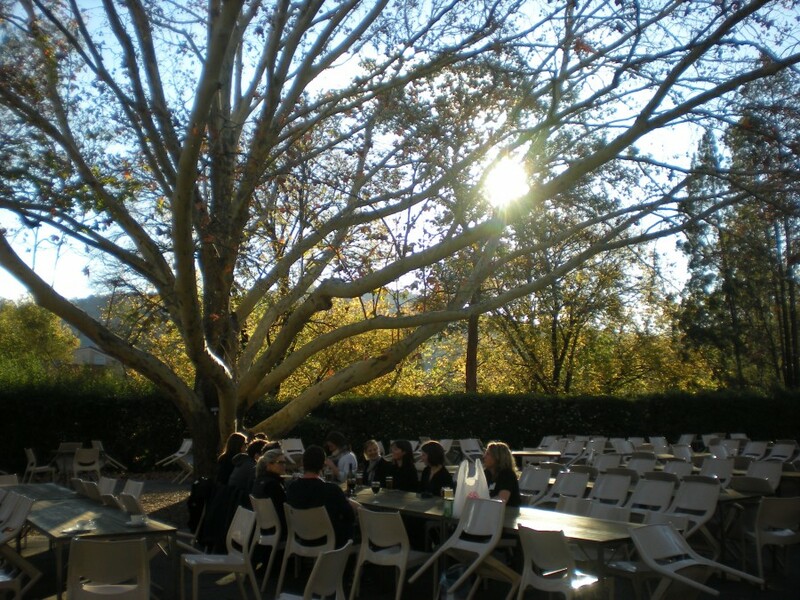 Last May I attended the biennial Environmental History PhD Workshop at the Australian National University, Canberra – my very first trip to Australia. This is a brief account of that trip (loosely) inspired by Sir George Wheler’s (1650-1723) A Journey into Greece (1682) with snippets from my travel journal. An absurd thought, granted, but still: other technologies such as skype and video conferences are opening up possibilities for replacing travel to conferences and meetings and lowering our carbon footprint. This has certainly been a topic of debate and concern at our division (of History of Science, Technology and Environment, KTH). However, perhaps it is not only a question of how much we travel, but our attitude to travelling. What do we gain by it, and how do we account for it? If knowledge is situated, how does travelling shape our knowing? I see this blog as participating in the long tradition of travel writing, such as the prolific correspondence, diaries and the (immensely popular) published travel accounts that played an important part in holding together the Republic of Letters, botanical networks and colonial science. Travelling has always been a central scientific activity, often involving great expense, cramped and uncomfortable conditions and sometimes great risk. Needless to say, most people did not go off on great adventures. Those who stayed at home could explore new lands vicariously through travel accounts and correspondence, and the plants and objects that travelled with them. Although the possibility and conditions of travel are far removed from those facing a 17th century counterpart, we travel more than ever and certainly continue to write prolifically. Travel writing is now mostly a popular genre, but this blog reaffirms the place of travel writing as a scientific endeavour. Lavish dedications were to be expected in travel accounts, particularly if the journey relied on the generosity of a patron. My grant applications came up dry, so my trip was funded by the KTH Environmental Humanities Laboratory and the Australian National University. I cannot emulate Wheler’s superlatives in his dedication ‘To the King’, but I am grateful. In Wheler’s preface, his apology for his travel account emphasises how fragile both the traveller and his memories are. So why travel, and why write about it? Travel writing is an attempt to preserve the collection of transient thoughts, impressions, and experiences that come about from the chance encounters, serendipitous overlaps, and unique juxtapositions that travelling enables. It is an attempt to freeze a moment in time. Travel writing is also an acknowledgement of the value of the journey made (will such trips still be possible for the next generation? ), in my case a justification for the expense and, with dismal irony, for the hefty carbon footprint I left attending an environmental history workshop. 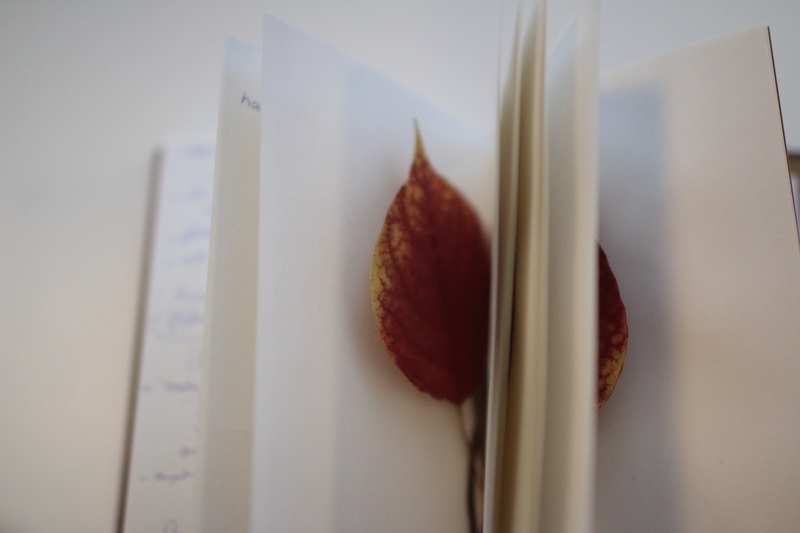 My notebook also became a collecting space more literally, as a feather, flowers and gum leaves found their way into its pages. Whether over land or sea, whether tediously uneventful or terrifying, the journey is itself full of impressions and insights from which knowledge can be gleaned. In my case, countless hours in airplanes and Dubai Airport game ample time to fill pages reflecting over the airport as a space – utopia, heterotopia and microcosm; a regulated yet diverse space, full of regulated bodies with unregulated body clocks – along with personal and existential musings about life between worlds, how people make place and take it with them (and vice versa). Dubai airport, 24th May, 5AM: A songbird declares morning – how lovely and out of place in this great cage! I wonder how it got in. Pale light outside the great window wedges confirms that it is, indeed, a new day, just as the 30 degree and humidity of last night getting off the place made me feel fully how far I have travelled. ‘Some nomads are at home everywhere, others are at home nowhere, and I was one of those.’ Robyn Davidson. Many hours later, somewhere over Australian territory. It hasn’t been as bad as I feared. Travelling is a strange thing. So much resistance before setting off, like the strain of the rope tugging a camel – once on its feet, no problem, but the transition can take some work. This wasn’t intended as a personal diary, but I cannot reflect over travelling, over utopia and belonging without falling into my own life, my own puzzles. My interst in utopia, in the coexistence of multiple perceptions and perspectives that cannot be conflated into a single frame… the perennial question of integrity that follows me and sometimes plagues me. How can I be this and this and this? How can I orient myself in a world both fragmented and whole? Blue skies. Faint white whiffs. Somehow – waxier, more elongated, etc. 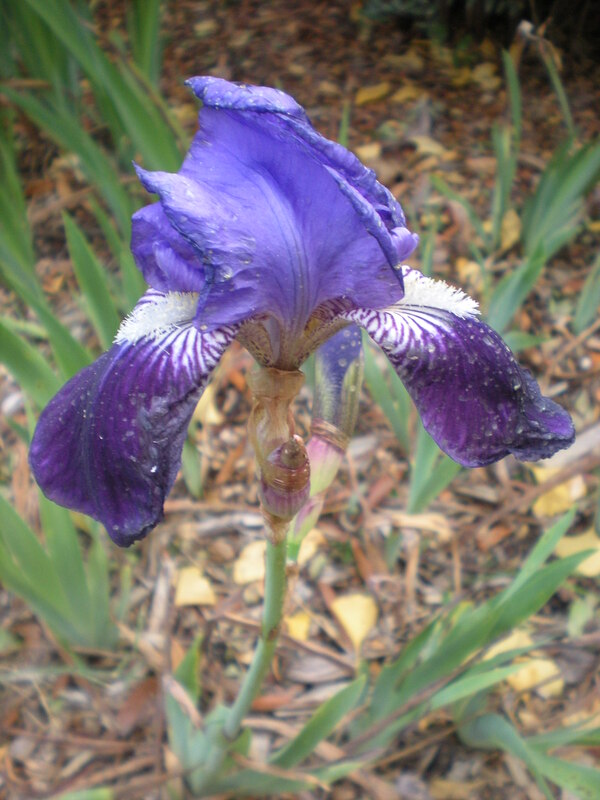 It was not only my body that was out of synch, but the seasons themselves: I was used to irises in May, but they seemed at odds with the surrounding landscape which declared autumn in unmistakable colours. 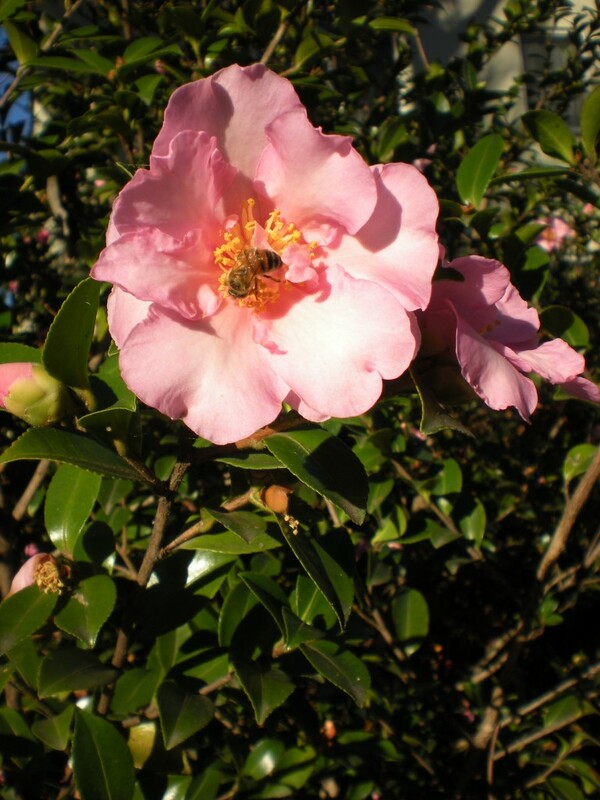 Camellia bushes overflowed with blossom – a flower I associate with February in European palm houses. Like Wheler, I have a particular interest in plants. He describes exploring plant ‘curiosities’ while his companions go hunting, and his text is interspersed with lists of plants encountered along the way. Unknown plants are often described with the help of comparisons with the more familiar: ‘Lychnis, with Flowers, speckled, like the Strawberry-pricks.’ (p.45) I experienced a similar mixed sense of the familiar and the strange: black-and-white crows called magpies, funny-looking ducks, birdsong that sounded like a screaming baby. 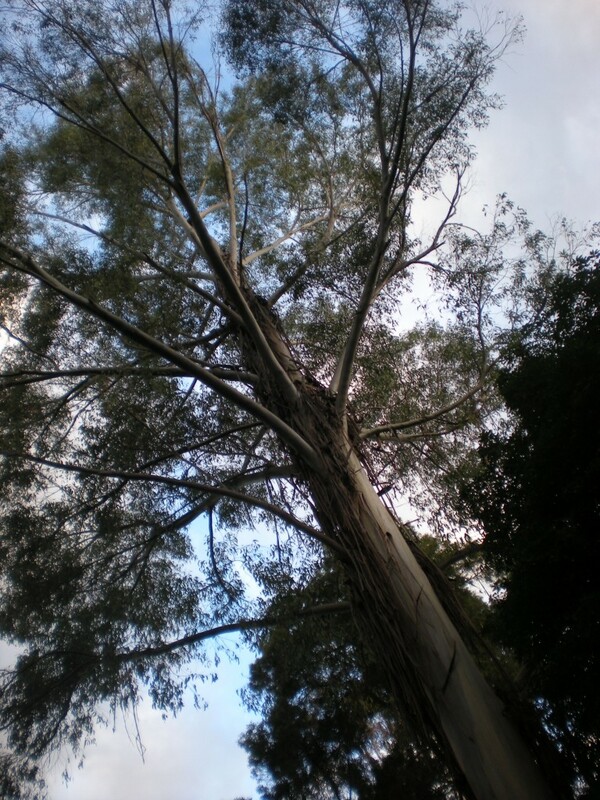 The ‘mountain ash,’ I was surprised to discover, is in fact a eucalyptus – a tree which is both so quintessentially Australian, and a reminder of my childhood home in northern Pakistan, another former British colony. Another striking aspect of Wheler’s account is the importance of the people he encountered along the way. My trip to Australia is thanks to the invitation of Tom Griffiths and Libby Robin, and from beginning to end I was overwhelmed by the hospitality, generosity and kindness of everyone I met. 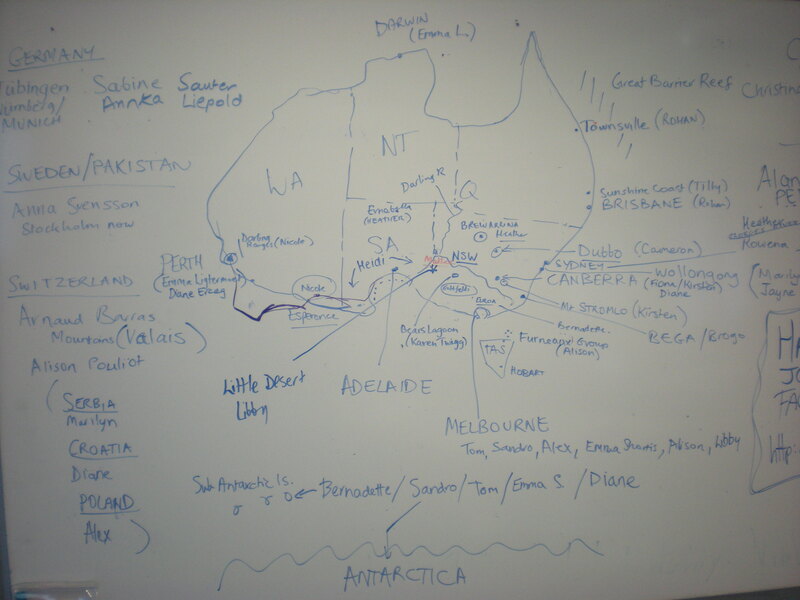 The workshop centred on performing (we could interpret this freely) our research in a respectful and creative environment, and most of what I learned about Australia, and Australian Environmental History in particular, was mediated through these new friendships. 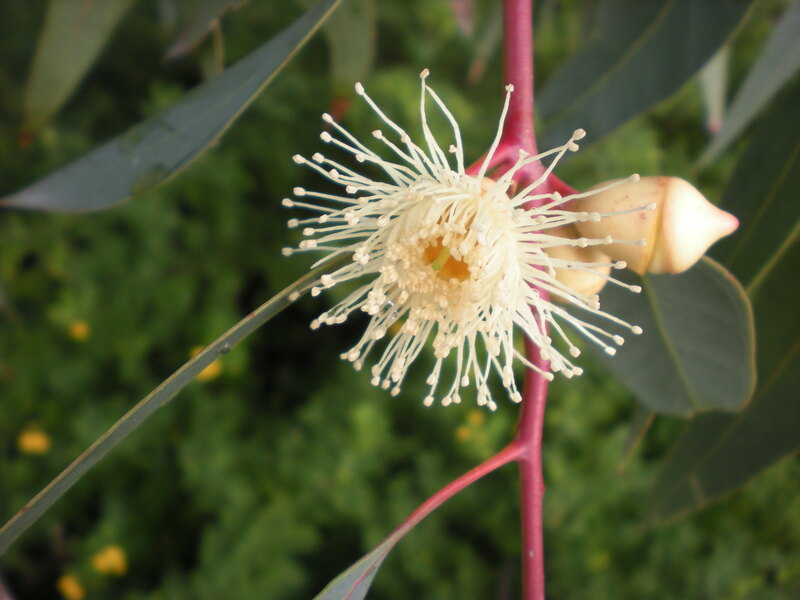 We were labouring up the Black Mountain, sweating and swatting at mosquitoes, when Tom stopped us, put a hand on the trunk of a nearby tree with the familiarity of friendship, and introduced us to the ‘scribbly gum’. He explained that the regular black scribbles along the trunks were made not by a human hand but by a particular species of beetle. (I was fascinated. How do they know when to turn, to create such regular zig-zag patterns?) There was something surreal about that evening, as we continued through a dream-like landscape of grey and mint along the red-ochre path. It was as though we were entering an artificial landscape arranged to mimic the Aboriginal paintings I had only seen in pictures. White pebbles dotting the red path. Black scribbles on the trunk. I thought about the patterns and pathways that European scientists sought and seek, to navigate this world in which we live. Another set of squiggles on another grey trunk. On it, a traveller before me had etched ‘Nepal’ into the bark. What is the difference, I wondered, between the squiggly beetle marking the bark, and the Aboriginal painting of the beetle’s squiggles? What is the difference of either to branches of an evolutionary tree? Who is qualified to read a landscape? How long does one or one’s ancestors have to have to have lived there for the privilege of correct interpretation, and by extension, correct use? 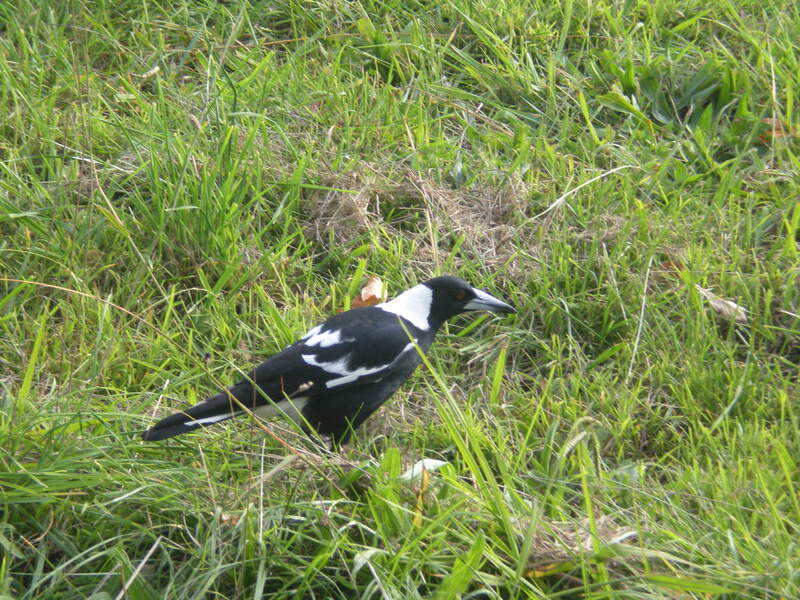 As a newcomer, I was fascinated to encounter such variety in the relationship between people and place in the Australian context. We were reminded of this in the repeated respects paid to the elders past and present, yet they were elders of a lineage we could only ever hope to observe – unnamed, and for me, unimaginable. I think of Alexandra Roginski’s work with the repatriation of Aboriginal remains to their country, the strength of a tie to land that holds even a century after death, yet which depends on the uncertain witnesses of time and space. I think of Arnaud Barras’ body snaking through the seminar room, as the words and limbs of a Swiss visiting student gave life to an indigenous narration of the Australian landscape. 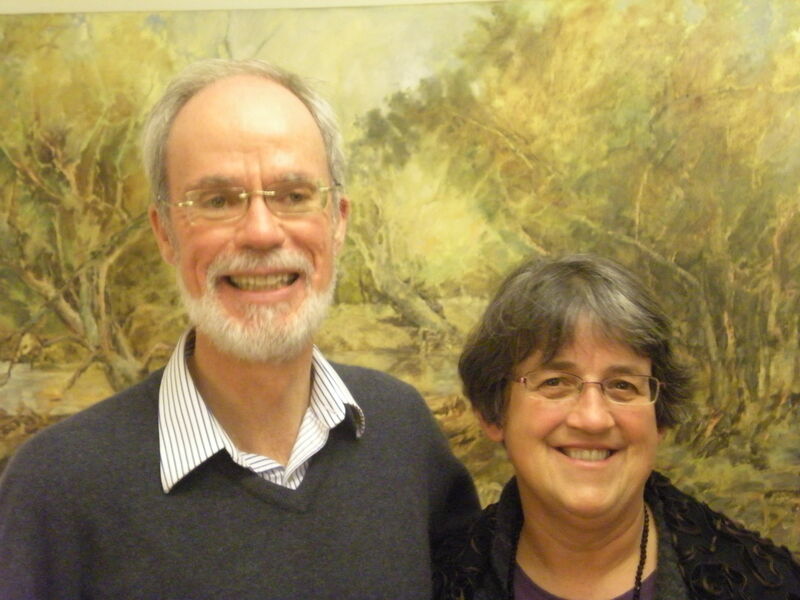 I think of Karen Twigg writing about the challenges of drought in her home, the Malle land, and Sabine Sauter in Germany writing about the dustbowl. I think of Marilyn Omerovic’s research into the ways in which more recent immigrants relate to the land: the idea that between indigenous stories of displacement and lost landscapes carried in the memory of many immigrants there is a common placelessness, the homelessness of land-orphans and violent uprootings. I am curious about these places which are closed to us in time and space, which perhaps no longer exist, and which we can only revisit when the present is suspended and, dreaming, we are free to wander, return, and repopulate the past with today’s thoughts and today’s loves. In the preface, Wheler pre-empts criticism for the content of his book: ‘For I know some will say, why does he treat us with insipid descriptions of Weeds, and make us hobble after him over broken stones, decayed buildings, and old rubbish?’ There are indeed plenty of monuments and ruins, with great attention to changing landscapes and numerous maps. 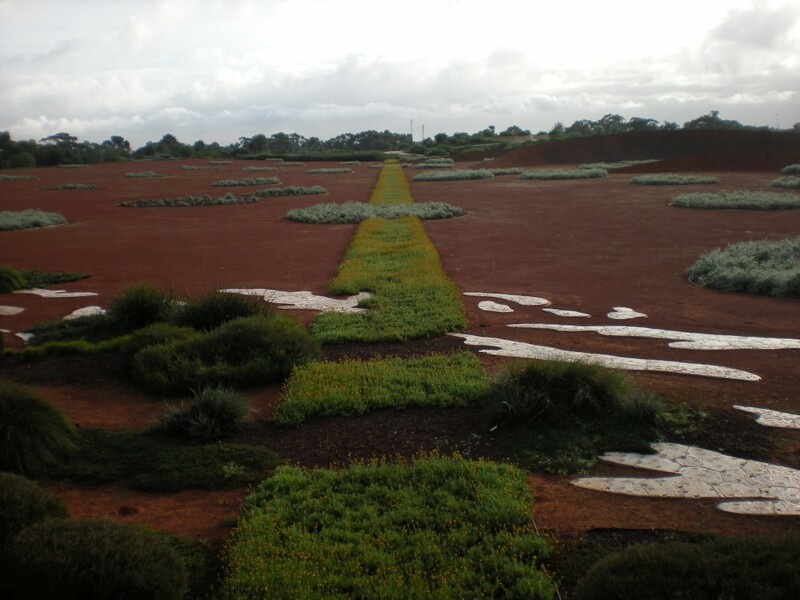 Botanic gardens are interesting places to ‘read’ landscape, particularly the Australian landscape, a vast continent with a unique flora. I briefly visited four botanic gardens, in Canberra, Sydney, Melbourne and Cranbourne (also in Melbourne), which from my first impressions appeared to have rather different ways of representing the nation’s flora. As befitting the Australian National Botanic Gardens in the capital, the Canberra gardens, which date back to the 1940s, present a microcosm of Australia. 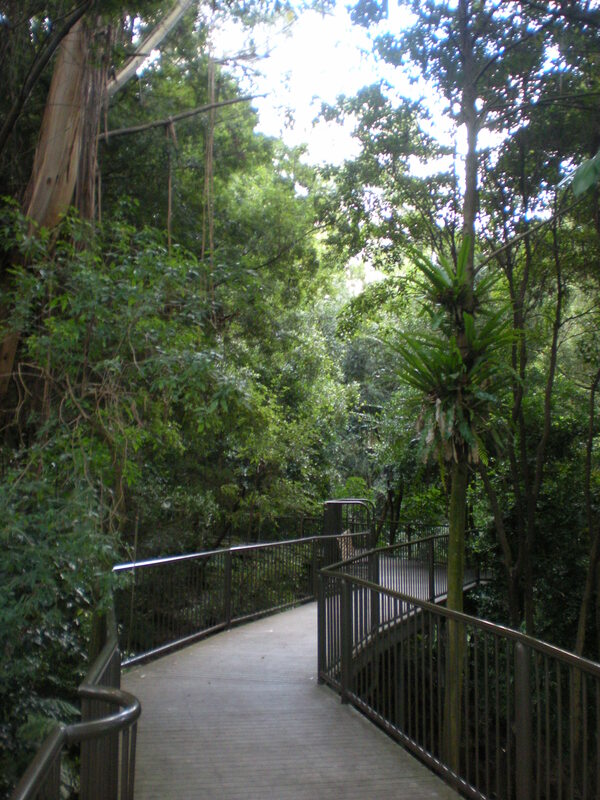 The ’red centre’ represents the central desert, and the rainforest gully is humidified to house more tropical plants from the east coast and Tasmania. 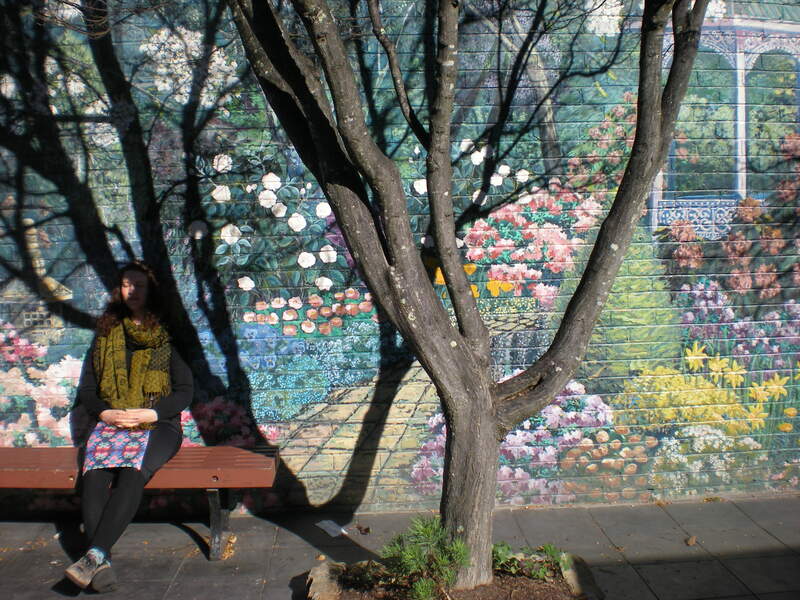 The visitor can, in a sense, experience Australia’s different climates in miniature. 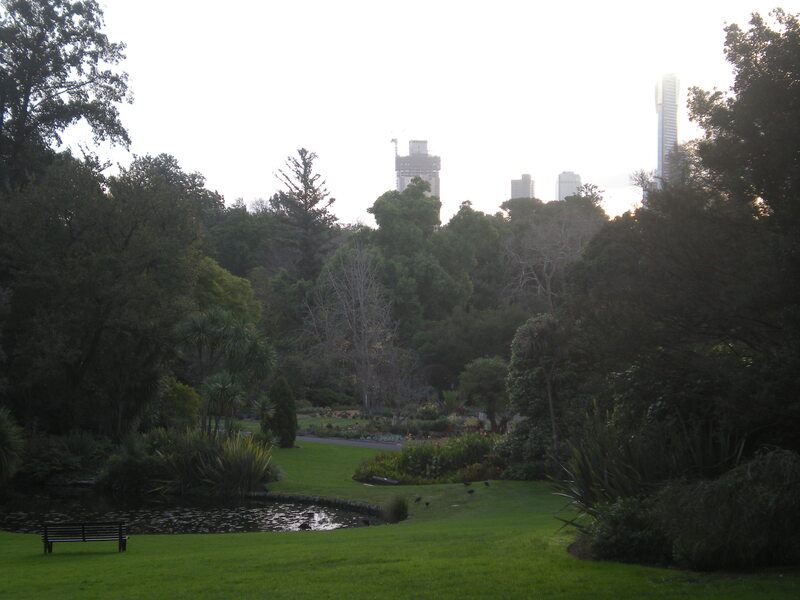 The Royal Botanic Gardens and Domain in central Sydney is the oldest scientific institution in Australia, closely associated with the arrival of Europeans on the continent. 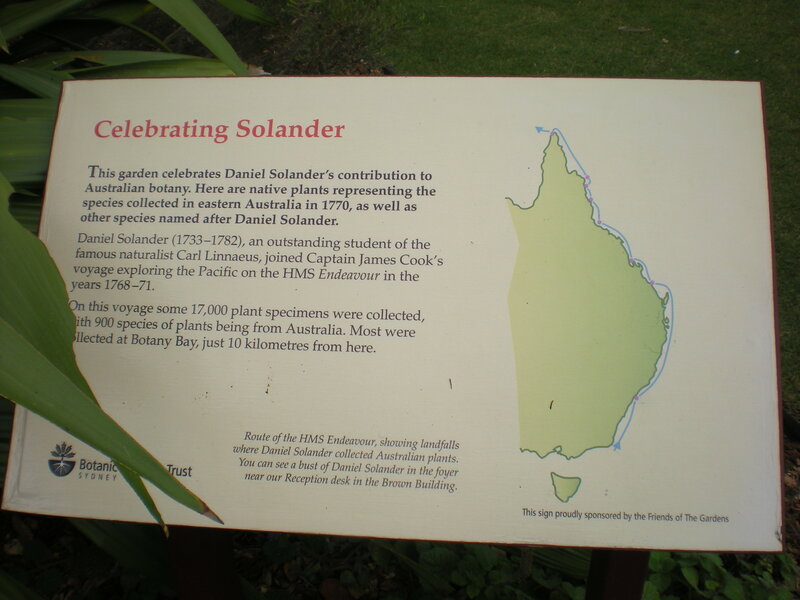 One garden celebrates Daniel Solander, a more illustrious Swede who collected plants ‘just 10 kilometres from here’ almost 250 years ago. The other contender for not just the scientific but the historical heart of Australian Botany is the Royal Botanic Gardens, Melbourne, home to the National Herbarium of Victoria which was founded in 1853 by the Director and prominent botanist Ferdinand von Mueller. 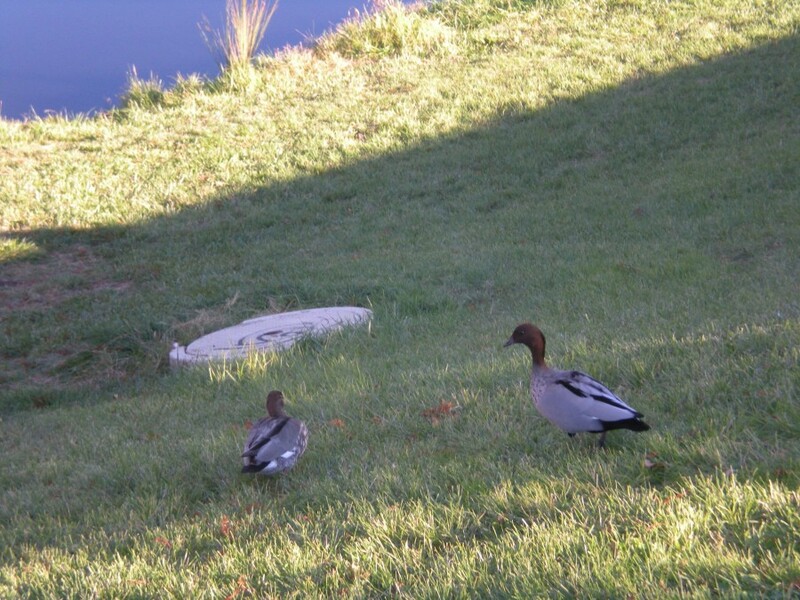 It is an urban oasis, a park with ponds in emerald lawns. 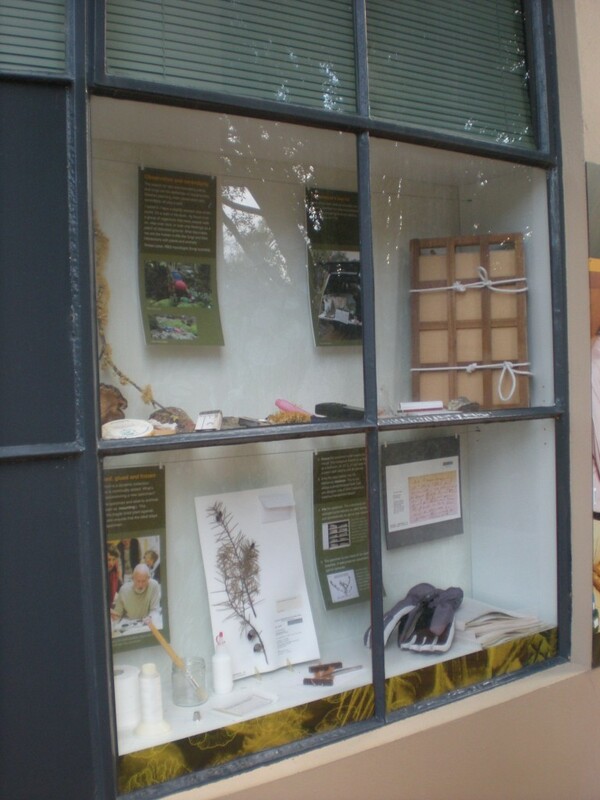 I was impressed by the National Herbarium building, which had an exhibition along the outer walls introducing the history, practice and science of herbaria to passer-byes such as myself. 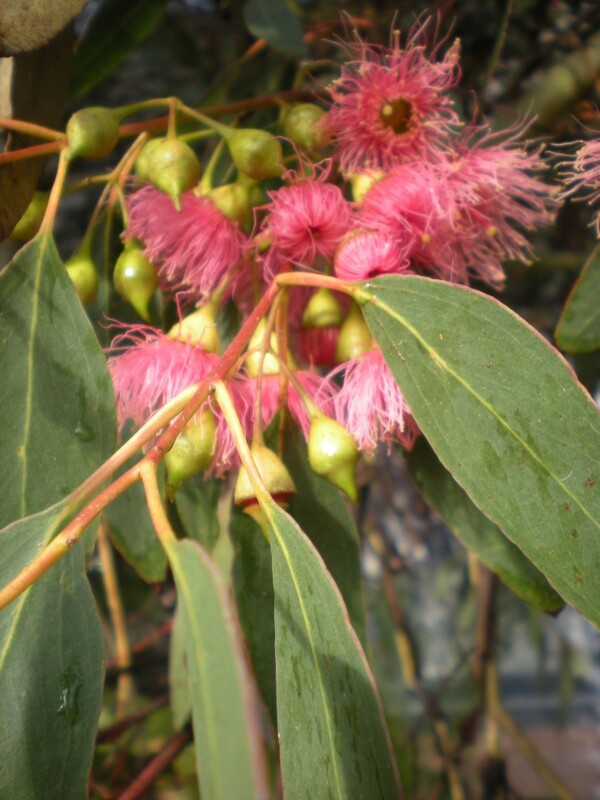 The youngest botanic garden I visited was the Botanic Gardens at Cranbourne (1970) south of Melbourne. Dedicated to Australian species, it takes a rather more abstract approach to representing the Australian landscape than the naturalistic microcosm in Canberra or the 19th century park-like gardens in Sydney and Melbourne. 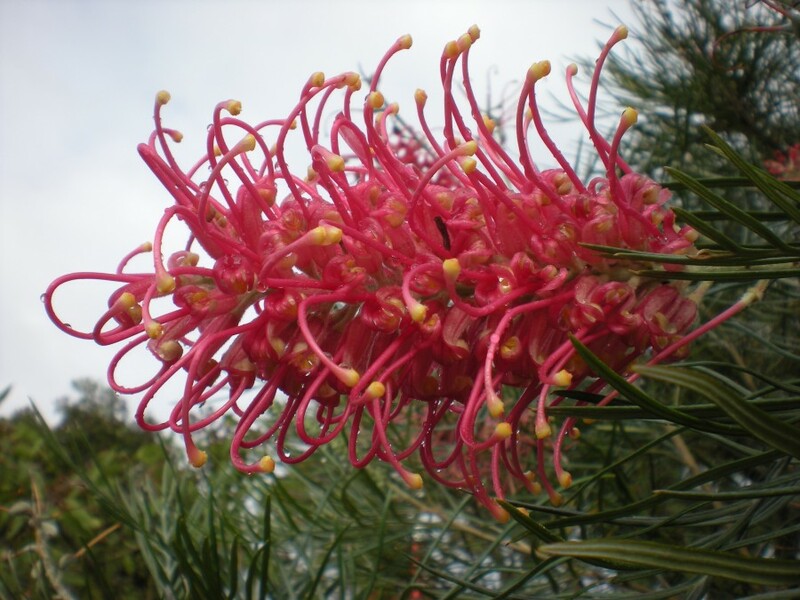 It is smaller, but focused on highlighting the riches and challenges that distinguish Australian flora. 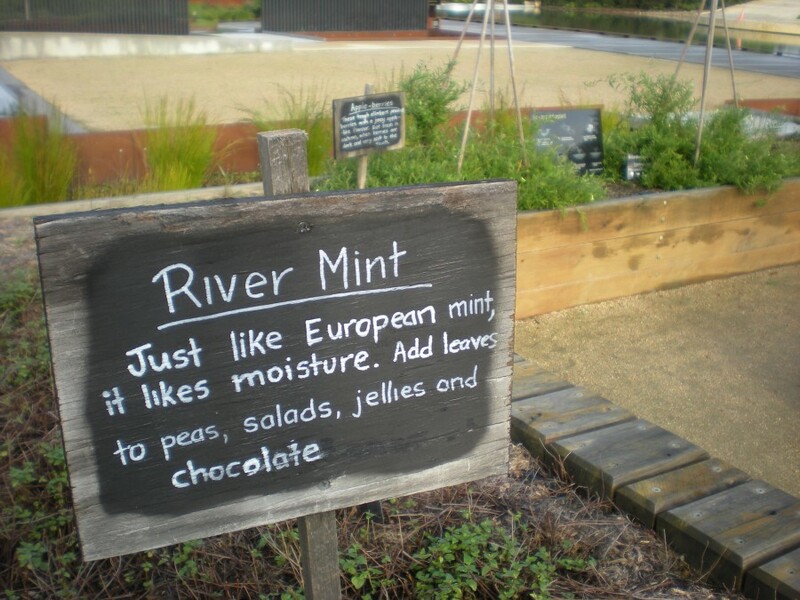 Water is a central feature, both in the landscape and the information panels, in recognition of the difference in water resources between Europe and Australia. 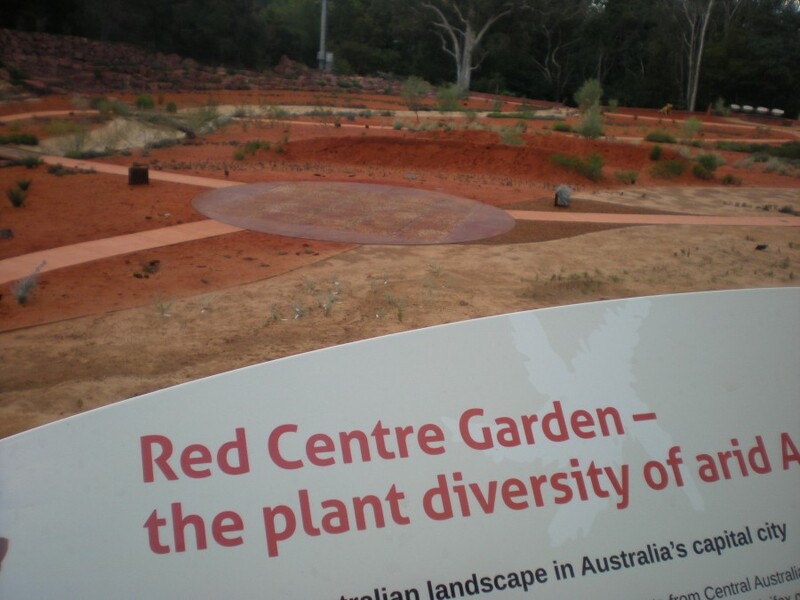 While the oldest gardens reminded me of Europe, Cranbourne and to some extent Canberra’s Red Centre seem to be exploration in a distinctly Australian botanic garden design, in which the Aboriginal as well as the scientific and naturalistic is inscribed in the landscape. 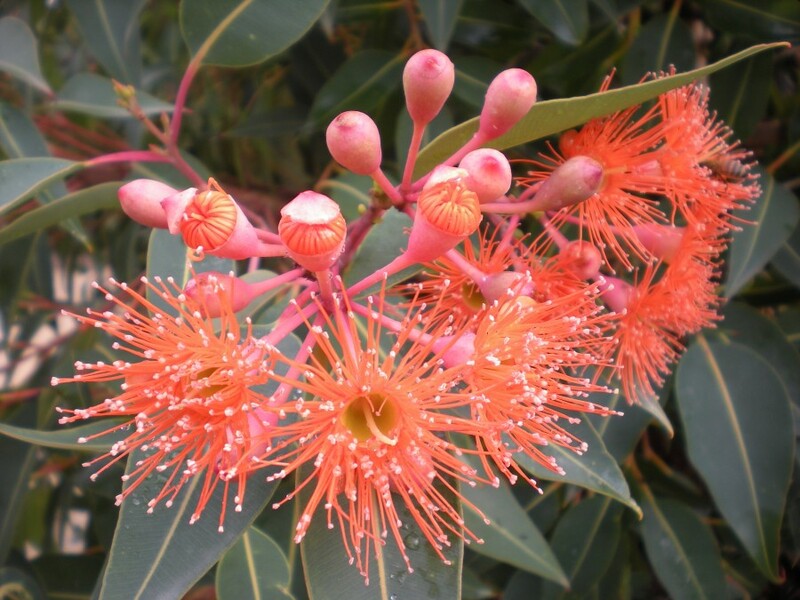 Cranbourne also displayed the most extraordinary eye-candy, in a range of beautiful flowering gums and other treats! Wheler begins and ends his travel account with an expression of gratitude to his God and King that he was born an Englishman, his travels having confirmed his belief that England was indeed superior to all other countries. In this sense, his travels seem to have enforced his world view rather than expanded it. However, there is much that I admire in his account, such as his attention to ‘Weeds’, his willingness to suffer discomfort and danger in order to satisfy his thirst for knowledge, and his dedication to accurately describing what he encountered. In the centuries that follow, travelling would be central to the learning and practice of botany, whether in the next field or a far-off continent. 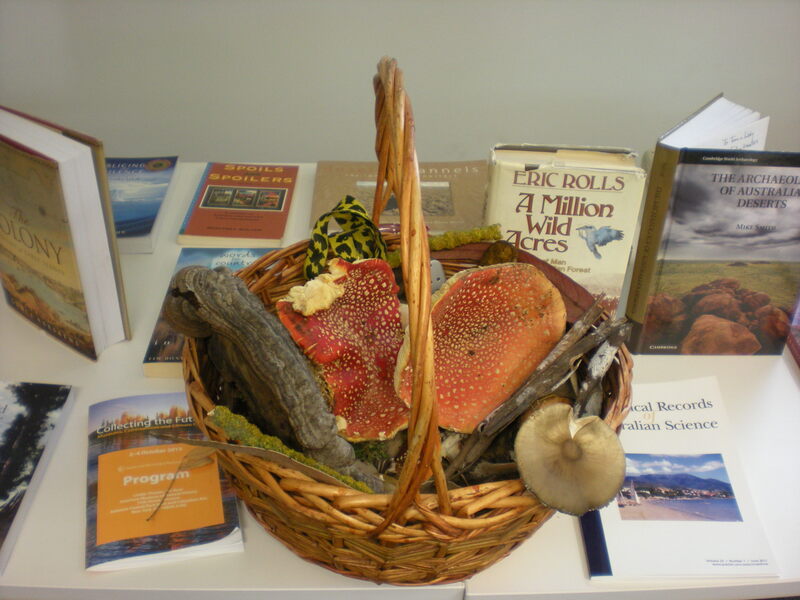 During the workshop, Alison Pouliot presented a basket full of glorious mushrooms she had picked on the University Campus, along with another basket containing derogatory words relating to mushrooms which she had collected in newspaper archives. Alison had moved through the grounds (sometimes on her hands and knees) with a knowledge, attention and receptivity to finding these extraordinary fungi, whose existence the rest of us who stuck to the paths had been completely unaware of. Whether reading books (or blogs!) of text or the book of nature, the 21st travelling scientist would do well to remember the botanist: dare to leave the path, and then collect and share what we discover there. Next Next post: Jennie Olofsson: What do you get if you recycle ten CRT screens? The Travelling Scientist: Mobility, Knowledge-making, and Sustainability in the 21st century. So… “Fly or Die” is just a myth? Climate hypocrisy? The researchers are making things worse with their flying. Arif Cem Gundogan on Göran Finnveden: Where should we go now? David Nilsson on Göran Finnveden: Where should we go now?